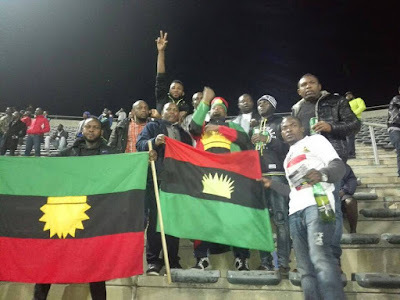 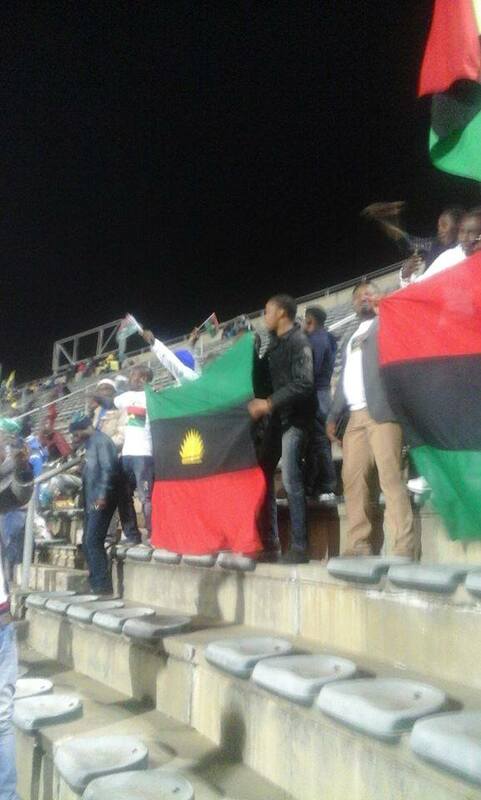 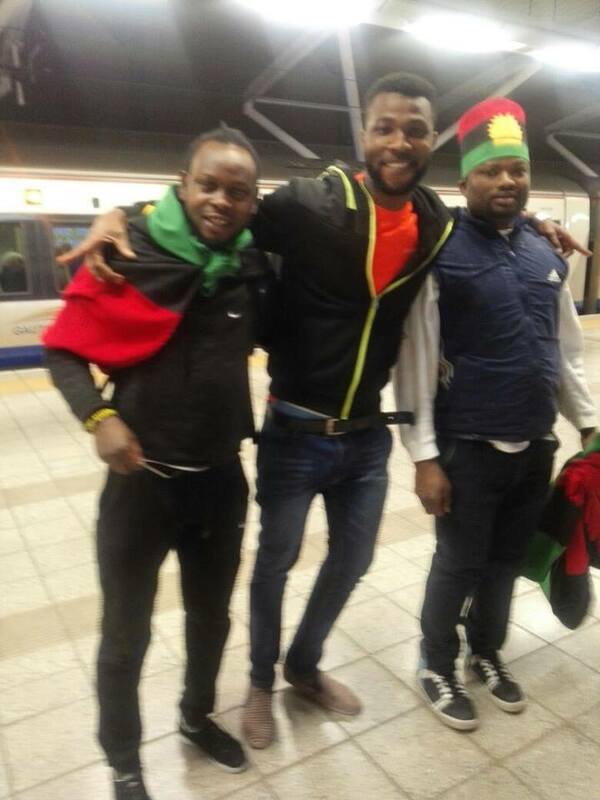 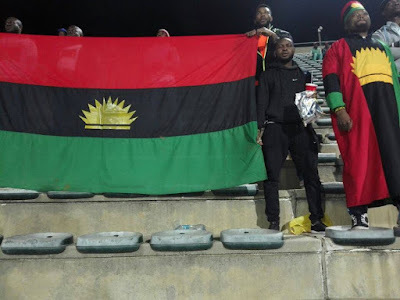 Home / Unlabelled / Pro-Biafra Supporters Show Off Their Colour During Match In A South African Stadium. Pro-Biafra Supporters Show Off Their Colour During Match In A South African Stadium. 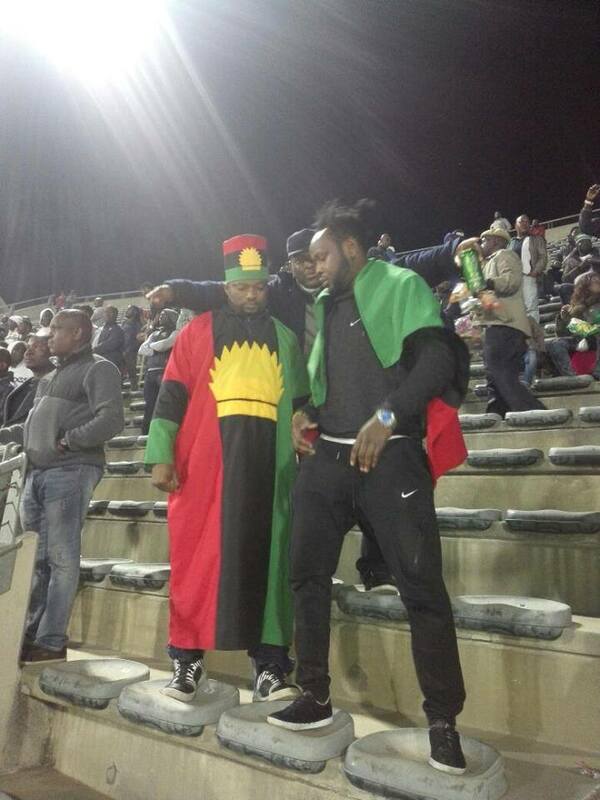 and Mamelodi Sundowns of South Africa yesterday.